Instant Pot Pepper Jack Chicken - Recipes That Crock! 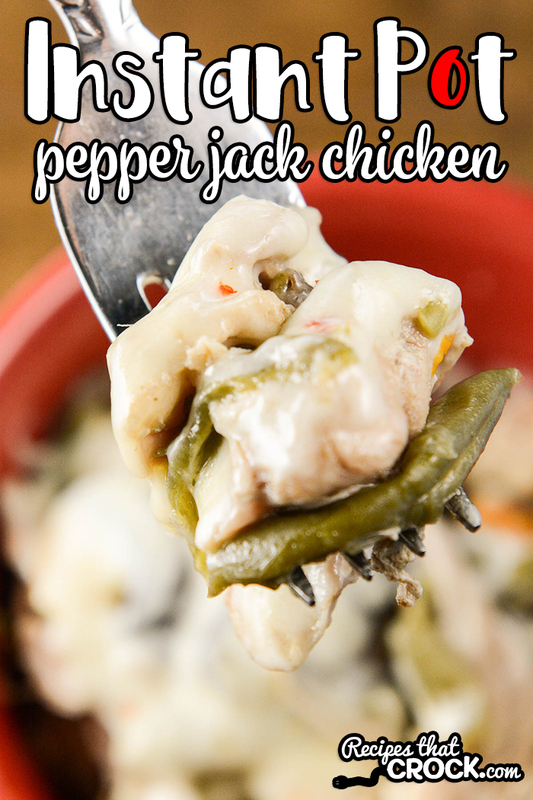 Instant Pot Pepper Jack Chicken is a delicious adaptation of our VERY popular Crock Pot Pepper Jack Chicken recipe. This low carb recipe is the perfect flavor-packed one-pot meal! 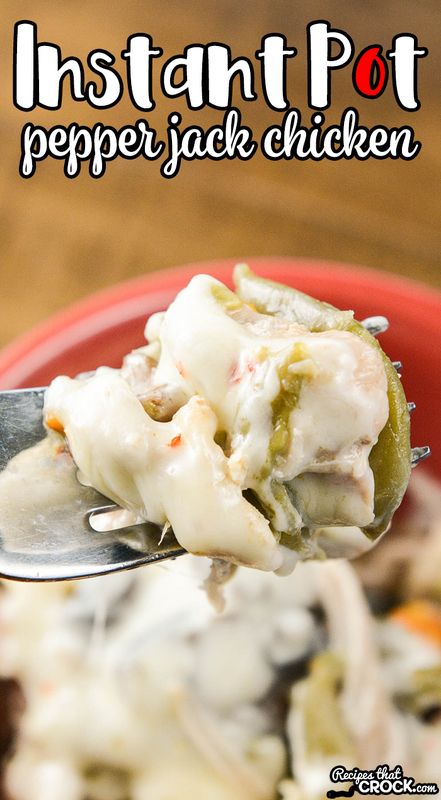 We shared our Crock Pot Pepper Jack Chicken with you guys a while back and readers LOVED it! 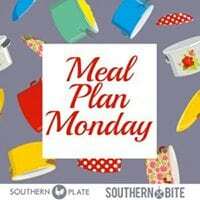 And, one of the most common questions I receive about it is how to convert it to an Instant Pot recipe. 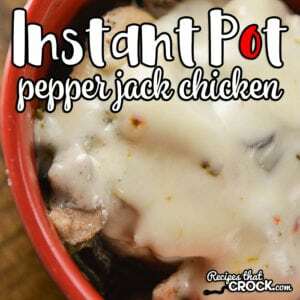 So today we are sharing just that: Instant Pot Pepper Jack Chicken. We used our 6 quart Instant Pot to cook up this dish, but you can use any 6 quart electric pressure cooker. The whole frozen green beans may seem like an odd addition, but trust me it is so yummy. We always use whole frozen beans. Fresh beans would likely turn out more crisp and canned would give it an entirely different texture. You can use a different cheese than pepper jack, but then the dish won’t be pepper jack chicken ;). You can use chicken breasts instead of boneless skinless thighs, but the cooking time may vary. Place chicken in the bottom of a 6 quart electric pressure cooker. Season chicken with garlic, cumin and salt and pepper. Add green beans, peppers, mushrooms, butter and broth. Seal the lid, close the vent and set the electric pressure cooker to cook under high pressure for 10 minutes. Remove chicken and shred with two forks or in a mixer. Then return to pot and stir well. Layer cheese over top and wait a few minutes for the cheese to melt. Once cheese melts (1-2 minutes) serve in bowls. You can use a different cheese than pepper jack, but then the dish won't be pepper jack chicken ;). How many does this recipe typically serve? Servings vary depending on how hungry your crew is and if you are serving other sides with this dish. We typically get 6 servings out of it. Enjoy! So sorry guys! There is one cup of chicken broth that got left out of the ingredients list. I have fixed it now. You can use frozen boneless thighs. You might add a couple minutes to the cooking time if 10 minutes don’t get them tender. Enjoy! Do you need to put liquid in the pressure cooker?